At its core, Dishonored is a simple story of revenge. You play as Corvo Attano, a respected member of the royal guard that was framed for murdering the Empress during a coup d’état. This puts you on the wrong side of the authorities, forcing you to join the old loyalists in an attempt to restore your name. The games story is set up very quickly, allowing you to jump right into the gameplay, but the world the story takes place in feels very fleshed out. Dishonored takes place in a Victorian Steampunk world with an interesting element that involves manaMana is an indigenous Pacific islander concept of an impersonal force (false ego) or quality that resides in people, animals, and inanimate objects. The gaming world has adopted the term to refer to a material that allows for magic to be preformed. derived from whales. 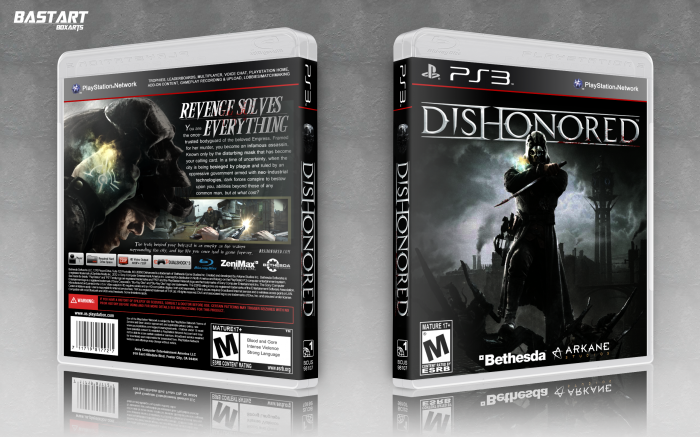 The story of Dishonored includes a plague that has devastated the lower class of this world. Those infected by the plague are called Weepers, aptly named after the blood that typically flows from the eyes of the infected. Weepers are essentially zombies. An interesting aspect of the game is the spread of the plague is directly related to your gameplay style. The more people you kill the faster the plague spreads. Being a stealth game, it is one of the ways you are rewarded for not being detected. When your character uses the darker powers of Dishonored the sounds and visuals are very reminiscent of the way Frodo would experience the world around him when he slipped on the ring of Sauron during the Lord of the Ring movies. It created a rippling dark flame that masked the surroundings. You’re given the ability to unlock and develop a variety of powers. Powers which included Possession; the ability that allows you to possess creatures and people. At first you can only inhabit a rat, but as the power evolves you can posses people. This power can be very useful for a traitor or an assassin. A personal favorite is blinkBlink was also the name of a character from Marvel's Age of Apocalypse with the ability to teleport. If you aren't familiar with her, the teleportation is actually much closer to Nightcrawler's ability., which allows Corvo to teleport short distances. First person games tend to feel limiting in movement, and being able to teleport adds a new method of evasion that is very satisfying. You have the ability to play this game as a typical FPS. The analogies that have been made with Dishonored and BioShock are not unfounded. You have the use of muskets, swords, and a bow, among powers that can be used to kill, all from first person perspective. It even adds in a very satisfying parry system for sword play. But this game, in my mind, is meant to be played as a stealth action game, much like Metal Gear Solid or Dues Ex: Human Revolution. To perfect a quest you would need to accomplish your objectives without being detected and without killing anyone. You have the ability to take cover, sneak on ledges outside windows, even hide under tables, all things that aid in accomplishing your objectives via stealth which helps this game stand out. For an interesting ethical discussion about Dishonored check out this article by Sylvain Lavallée. Sadly, the art direction suffers from a disconnect between the marketing art, and the actual graphics of the game. The artwork used for the marketing has a polished feel to it that makes it feel slightly generic. This has turned off many people from picking up the game, as much as we’d love to believe that gamers make educated purchased, there are a great many gamers that buy games based on cover art. On the other hand the graphics in-game art style is fantastic, it adds even greater personality to the world. Slightly exaggerated features help you identify different classes of characters at a distance and adds to the depth and feel of the world the game has created. This is not a open world game, yet it leaves the tactics and paths you can utilize to complete each quest rather open, which lends well to multiple play throughs and perfectionists. The world that Dishonored has created is worth a recomendation alone, but the gameplay really is something worth experiencing. From the magic to the sword fighting, and inventive steampunk weapons there is so much to enjoy with this game. 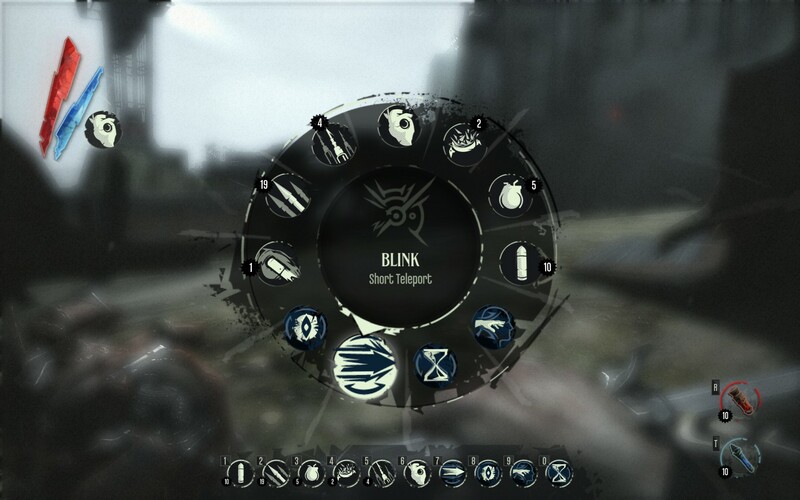 So, if the concept of playing as an assassin, stealthily exploring a Victorian Steampunk world sounds like a enticing prospect I highly suggest Dishonored.